After the fabulous time we had at our last open day we have decided to open the doors of our wonderful warehouse to you all again. 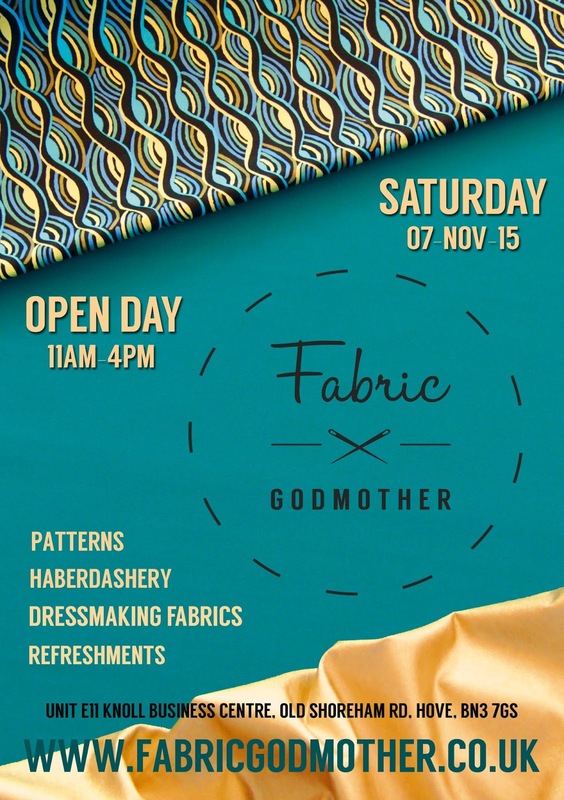 The next Fabric Godmother open day will be on the 7th November 2015. Why not get a bit of Christmas shopping done? We have lots of lovely gift ideas. Also prepare to stock up on some wonderful winter fabrics and see all the latest pattern releases from the indie sewing pattern companies. Catch up with other sewing fans, enjoy refreshments and lots of lovely chit chat. We really look forward to seeing you all again for our open day.